Motorists driving through Woodbury on Main Street Tuesday morning may have noticed a change — one they undoubtedly liked. The change is an increase in the speed limit from what was 20 MPH along a section of Main Street in the middle of town to 25 MPH. The Town of Woodbury Board of Mayor and Aldermen approved changing the speed limit on Main Street on March 3 of this year. 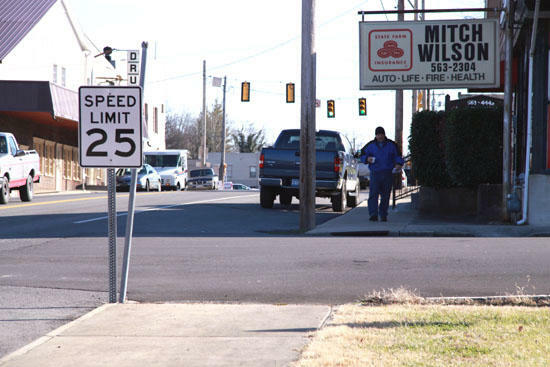 The speed limit changed to 25 MPH beginning at the West end of the bridge on Main Street and ending at the east end of O’Reilley Auto Parts (301 McMinnville Hwy); then the speed limit increases to 30 MPH to a point where posted otherwise.